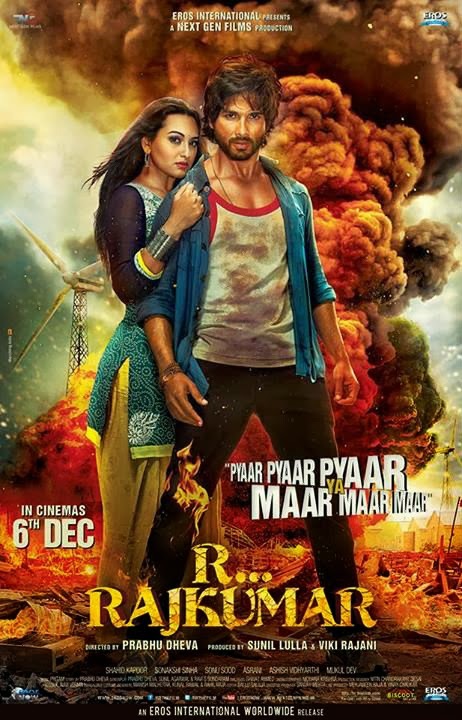 Watch official theatrical trailer of upcoming Bollywood movie "R...Rajkumar" featuring Shahid Kapoor, Sonakshi Sinha and Sonu Sood in main character. "R...Rajkumar" is a film directed by Prabhu Dheva. The movie is produced by Sunil Lulla and Viki Rajani, music composer is Pritam and written by Shiraz Ahmed. The release date of the film in theatres is on 6th December, 2013. R... Rajkumar, earlier name was Rambo Rajkumar but later they place the name R... Rajkumar. The Movie is full of action like Prabhu deva's movie Rowdy Rathore. Waiting for 6th December Now. Check out the latest R Rajkumar Poster below.